April 1, 2012 at 11:30 a.m. and 2 p.m.
As I am looking at Witkacy today, I see many different things I have not seen when I was introduced to him in my early high school years. He always fascinated all of us young adults with his craziness and willingness to challenge himself and others with everything he has done in life. For a long time forgotten and misunderstood by many in the communist and post-communist Poland, now rediscovered again as a precursor of the absurd theater with a bit of surrealism at its core. To these days I remember his provocative pictures in which he disguised himself using his facial expressions mostly done under the use of alcohol and drugs. I could not get through his novels, his plays were rarely done at that time. Finally, when I got my acting diploma I had the privilege to work with one of the directors, Wanda Laskowska, who rediscovered Witkacy as a dramatist and directed “Shoemakers.” Working with her gave me an opportunity to look at Witkacy at a different angle and understand better his ideas and the style. Hotel Europa was a complex project which took over a year to prepare and perform. I originally wrote the concept and the first draft of the script, which was followed by a meeting with all directors, where the material was discussed. Afterwards I wrote the further drafts of the script. The project was produced by Chris Torch of Intercult, in Stockholm. He is an American and a naturalised Swede, originally an actor in the Living Theatre, a real artistic and human live-wire force. The production was directed by nine directors and performed by 25 actors from several mainly Balkan and Baltic countries. Every director worked with their own team and their own style. Some scenes were written as drama, some as dance librettos and some as installations. Some scenes mutated from their original version to suit the style of the director and the actors. “Europeretta” was directed by director Viesturs Kariss and visual artist and designer Ieva Jurjane, from Latvia. “Do Not Disturb” was directed, mainly as a dance piece, by choreographer Matjaz Faric from Slovenia. “One Night Stand” was directed by Oskaras Korsunovas from Lithuania. “Room Service” was directed by Dritero Kasapi from Macedonia. “Hotel Angels” was directed by Piotr Cieplak from Poland. “Maiden Voyage” was directed by Ivan Popovski from Russia. “The Empty Rooms” were installations staged by the Art Action Group “Skart” from Yugoslavia. “The Grand Hotel Casino Europa” was the central scene directed by Neyalko Delchev from Bulgaria. The Roving Characters were directed and performed by local artists from the co-producing parties and countries. The production was performed in five European cities in the summer of the year 2000. It was performed in specially adapted huge spaces of “derelict buildings”. In Vienna it was co-produced by Wiener Festwochen and performed at the Kabelwerk, an old cable factory. In Bonn-Bad Godesberg it was co-produced by the Bonner Biennale and performed in an empty ex-deprtament store in the centre of town, Das Ehmalige Hertie Warenhous . In Avignon it was co-produced by Festival D’Avignon and performed in the Usine Volponi, a warehouse twenty minutes bus ride from the walled old town. In Stockholm it was produced by Intercult and performed at Medborgarhuset, a huge public building in the centre of the south part of town, including a swimming pool. In Bologna it was co-produced by the City of Culture of Bologna and performed in a building which used to be an aquarium. Soren Brunes did the overall complex production design. The project resembled a military operation and required military precision. Audience of 300 would enter the building for an opening scene. Then it would be split in six groups of fifty and taken to separate rooms for individual scenes. There were six scenes going on in synchronicity, each lasting roughly 15 minutes. 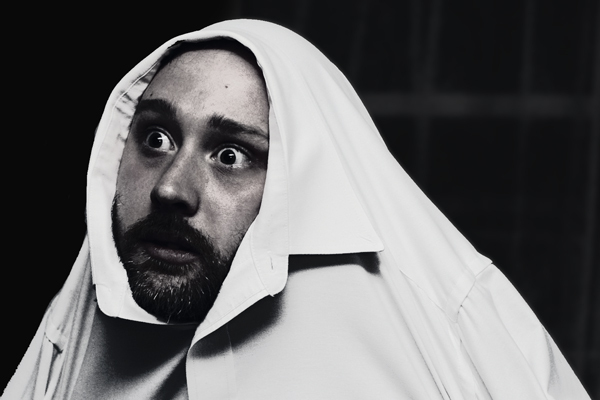 After each scene a Roving Character would lead the audience from one room to another, where another scene would start. Groups of audiences would sometimes brush shoulders with each other in corridors during these journeys. It was extremely important for these transitions to go smoothly, which was not easy at best of times. In the middle of the performance all of the audience would gather in a big “banquet” hall for the longer central scene. After this, there would be further journeys of the audience for the remaining scenes. This means that people saw the production in different order of scenes and consequently with a different narrative flow. All these years later I’m still reeling with excitement when I think of the sheer sweeping breadth of the project of Hotel Europa. Dramatist and playwright Goran Stefanovski was born in Macedonia. He worked in Yugoslavia as one of its most prominent theatre professionals until the late 90s, when he moved to England. His plays and essays have had numerous translations and publications. 2006, THE DEMON OF DEBARMAALO, commissioned and produced by the Dramski teatar, Skopje, Macedonia. premierred at the Atelje 212 Theatre in Belgrade, Serbia in 2003. English production and UK tour by Theatre Melange in 2004. During the civil wars in Yugoslavia his works became engaged with the social and political problems in Ex-Yugoslavia and their repercussion in Europe. He wrote scripts for a number of European productions, dealing with issues of migration, social conflict, post-communist transition and multicultural identity. Among them are Hotel Europa (2000) and Landscape X: Euralien (1998), both produced by Intercult, Stockholm. In 2004 he presented the paper “After dinner speech” at the “Sharing Cultures” conference in Rotterdam, Holland. In 2005 he presented a paper “The Heart of the Matter” at the “What Future for the Balkans and the EU?” European Cultural Foundation Conference, The Hague, The Netherlands. Stefanovski is also a teacher of scriptwriting. In 1986 he founded the playwriting course at the Faculty of Dramatic Arts in Skopje, Macedonia where he was a full professor until 1998. Between 1998 and 2000 he was a visiting professor at the Dramatiska Institutet in Stockholm, where in 2002 his “A Little Book of Traps, (a scriptwriting tool)” was published. 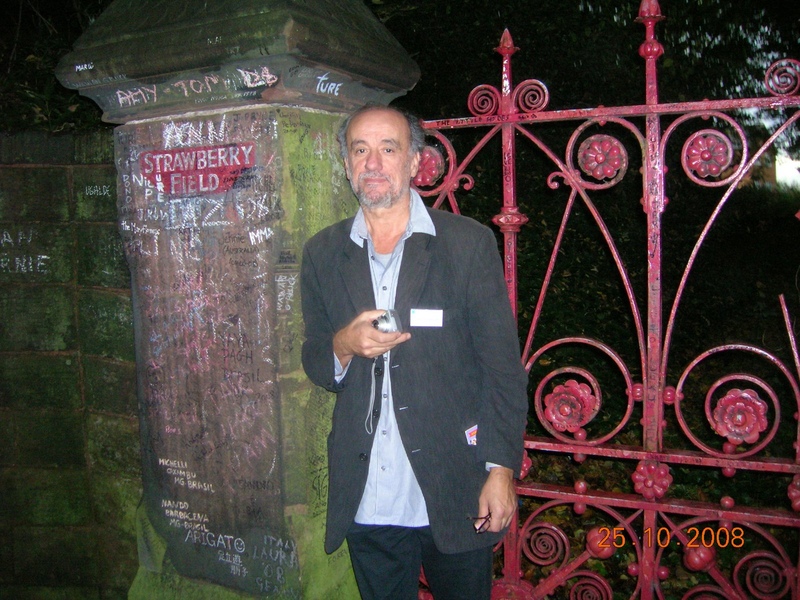 He is now a free-lance writer, living in Canterbury, U.K, where he teaches at the Canterbury Christ Church University. 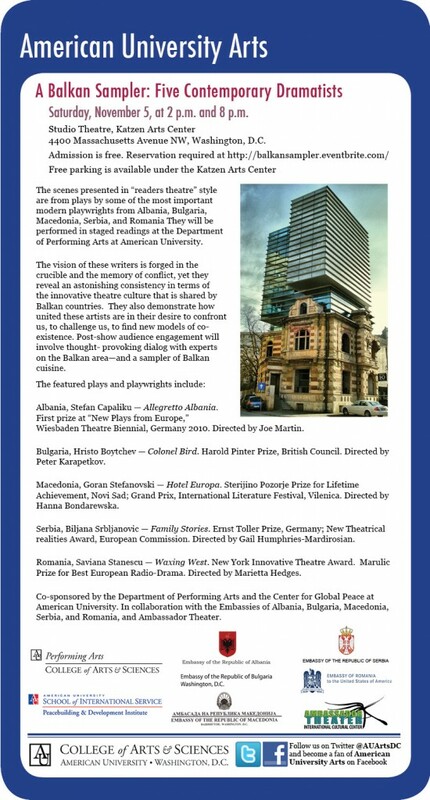 Scenes from plays by some of the most important modern playwrights from Macedonia, Serbia, Bulgaria and Romania will be performed in staged readings at the Department of Performing Arts at American University. The vision of these writers is forged in the crucible and the memory of conflict, yet they reveal an astonishing consistency in terms of the innovative theatre culture that is shared by. They also demonstrate how united these artists are in their desire to confront us, to challenge us, to find new models of co-existence. 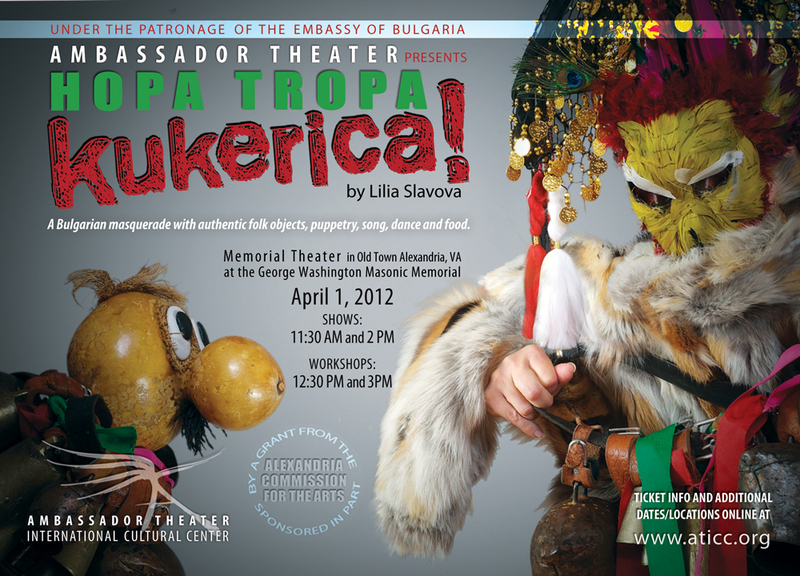 Post-show audience engagement will involve thought- provoking dialog with experts on the Balkan area—and a sampler of Balkan cuisine. Saturday November 5, at 2pm and 8pm. 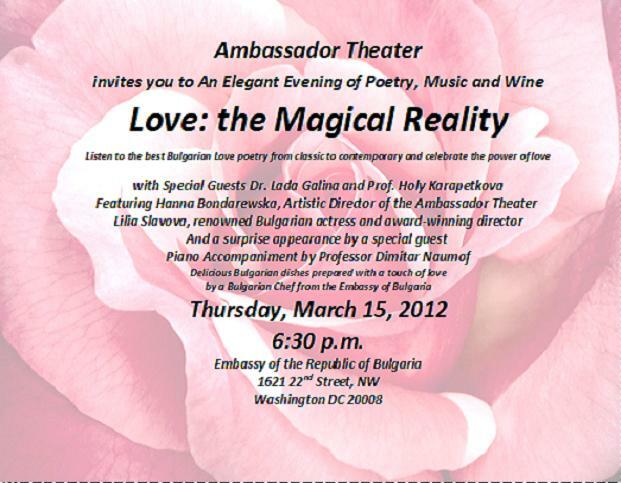 Co-sponsored by the Department of Performing Arts and the Center for Global Peace (SIS) at American University. “In the anthill civilization which is coming individualism will be limited like a man in a strait jacket . . . True artists . . . will be kept in special institutions for the incurably sick and will be, as vestigial specimens of former humanity, the subject of research by psychiatrists.” , New Forms in Painting, 1918. 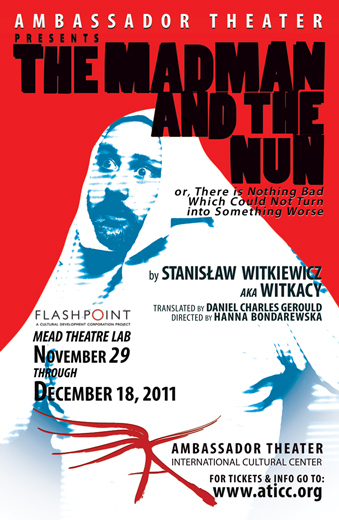 Written in 1923 and first staged in 1924, The Madman and the Nun is one of Witkacy’s most widely performed dramas. Dedicated to “all the madmen of the world,” the play takes as its theme the tyranny of society over the individual. The author himself felt threatened by insanity–an expression of rebellious individuality–and the play may be considered an ironic portrait of the artist. In The Madman and the Nun (the title of one of Witkacy’s paintings exhibited in 1921), the creative personality becomes victim of cultural repression when science and state, abetted by religion, form a totalitarian alliance to bring about enforced happiness and social tranquility through psychiatric confinement. 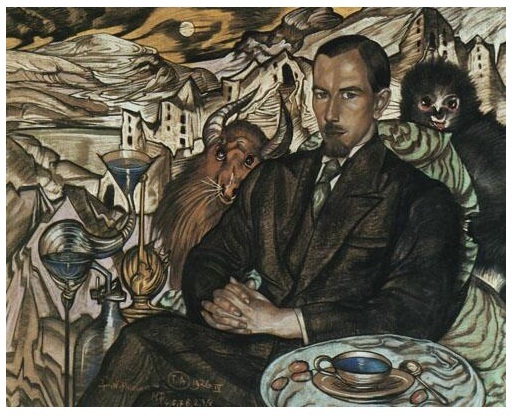 Witkacy’s decadent poet and drug addict, Walpurg, exemplifies the destiny of exceptional beings who are locked in padded cells and trapped in ever-widening circles of incarceration by body, family, and society. The Freudian psychiatrist Grün hopes to cure Walpurg by rendering him normal and restoring him to society lobotomized of the madness that constitutes his genius. The fettered poet (whose consciousness alone is free} and the psychic healer prying into the recesses of his brain are a complementary pair. Grün is both the observing self, voyeuristically watching the instinctual behavior of his alter ego, and the controlling self attempting to curb the explosive creative energy of his double. The doctor alternately provides Walpurg with paper and pencil—tools of creation—and binds his arms in a strait jacket, encouraging his art and yet restricting it. Grün reduces psychoanalysis to a mechanistic system for fabricating puppets ready for the anthill society. As the only way out of imprisonment, Walpurg seduces his nurse (the beautiful Sister Anna), murders one of his doctors, and hangs himself. Here Witkacy introduces a spectacular coup de theatre that cancels the seemingly inevitable tragic ending. Stepping over his own corpse lying on the floor, the handsome young Walpurg—an elegantly dressed dandy—enters the cell, bids farewell to his keepers, who are now locked up as insane, and goes off to town with Anna. Witkiewicz’s favored device of the risen corpse violates the laws of both nature and conventional dramatic logic; the play subverts its own premises and calls into question the entire rational world that constructs madhouses. Walpurg’s feat of dissociation–splitting in two and leaving behind his outer shell–is deeply ambiguous. Has the poet created a new form for himself or merely accepted society’s validation of a stereotype? Are his suicide and escape a triumph of mind over matter or a step backward on the treadmill of Eternal Recurrence, repeating the same punitive story? Pure Form (the modality of the final act) can allow for multiple endings and accommodate contradictory meanings. In the double denouement of The Madman and the Nun Witkacy, incorporating Heisenberg’s principle of complementarity and Bohr’s uncertainty principle, plays bold theatrical tricks on the audience in order to dispose of the dead conventions of stage realism along with Walpurg’s dead body. Witkacy’s protest against psychiatric confinement anticipates strategies of the post-1968 avant-garde: creative madness, anarchic violence, liberating sexuality, and emancipation through dreams.